Ribbon Charms - Bright pink and light pink breast cancer ribbon charms, autism awareness charms, gold, swarovski crystal and more! 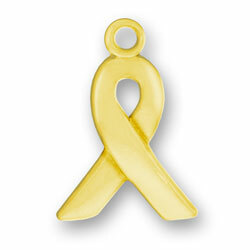 We have beautiful simple to fancy awareness ribbon charms. We have gold-plated and sterling silver. We have 2 pink crystal ribbon charms. 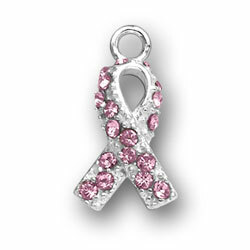 Our large sterling silver Pink Swarovski Crystal Ribbon Charm adorned in bright dainty pink crystals raises Breast Cancer awareness beautifully. The large one would be best on a necklace. It is too big for a bracelet. 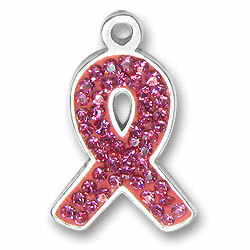 The smaller pink crystal breast cancer awareness ribbon looks great on a bracelet or a necklace. 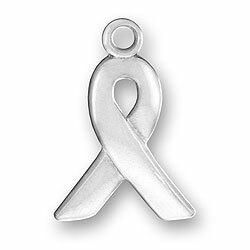 We also have plain sterling silver for general cancer awareness and a sterling silver ribbon with SURVIVOR written on the back for all those survivors out there and everyone who knows the power of positive thinking! 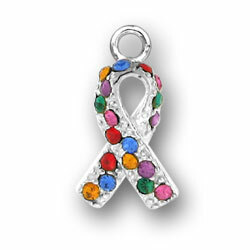 New to our collection is the Autism Awareness ribbon charm with beautiful bright colored crystals.